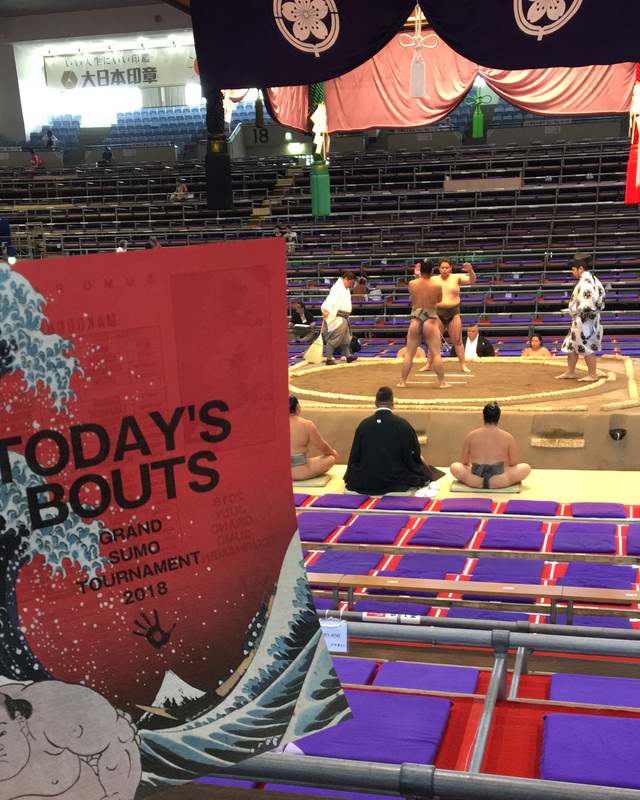 Sumo tournament takes place in six different locations around Japan. The good news for people who would like to attend it is that each location has a different time schedule. 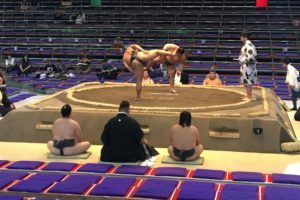 Depending on the month you are planning on visiting the country of rising sun, you can check the tournament schedule on the official website which provides information also in English (http://www.sumo.or.jp/EnTicket/year_schedule/). Each tournament lasts 15 days, starts and ends on Sunday. If you already know that one of the tournaments takes place while you are in Japan, the next step is to get your ticket. 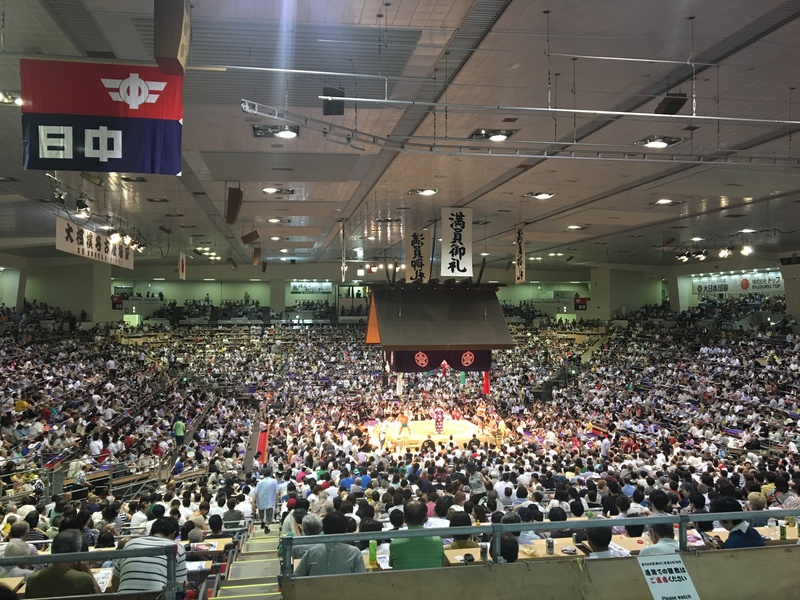 The sumo tournament is a very popular event in Japan and the tickets are getting sold very quickly. There are two ways of getting your tickets: buying them in advance online or at the counter of the day of the game. Advice: If you are sure that you want to watch the game on a particular day, we recommend buying your tickets online. It will save you time waiting in the queue with the probability that you might not be able to get your tickets if you arrive late in the morning. Tickets are sold more than a month before the tournament. You are able to choose different ticket options, exact date and choose the place where you would like to sit. Depending of the area of seat the price varies. But remember tickets are getting sold really fast. If you can, you should buy your ticket on the first day when the sale is open. There is also a possibility to purchase tickets on the day of the game. While the tournament starts around 8:30 in the morning there are usually people queuing from as early as 6:00 am. Everything depends on the day, which wrestler is playing and also if it is a holiday, weekend or weekday. There is a limited number of tickets available and you can buy only the general admission tickets, which means that you will sit far from the ring. Those tickets are also cheaper than the one you can buy online. Important: When you have your admission ticket you can re-enter the stadium once. It means that you can go for lunch and come back to see the other matches on the same day. 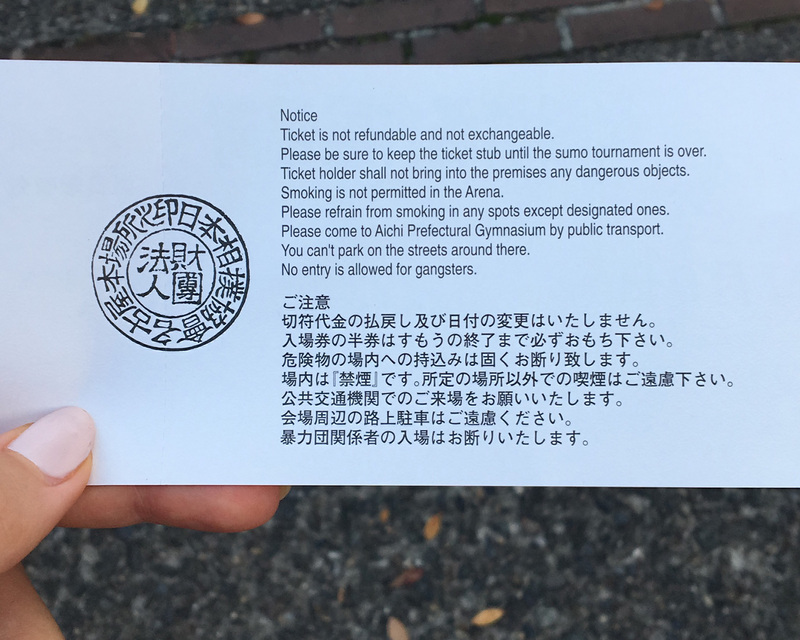 Your ticket will be stamped when you exit the stadium the first time. Don’t lose your ticket if you want to come back. Most of the people are arriving around 15:00, which means that in the morning the stadium is not so crowded and gives you the possibility to move freely, look around and observe the wrestlers. It’s almost a tradition to have Japanese snacks during the game. In the stadium, you are able to buy snacks and there are sellers with ice creams and beer walking around. We recommend attending at least one of the ceremonies. It shows the deep relations between sumo and Japanese traditions and beliefs. If you attend matches of wrestlers from different divisions you will be able to notice their advancement. While the lower divisions matches are usually very short, higher division matches can last longer. Pay attention to details. During the game, you will be able to observe changes in the clothes of judges and ceremonies performed. 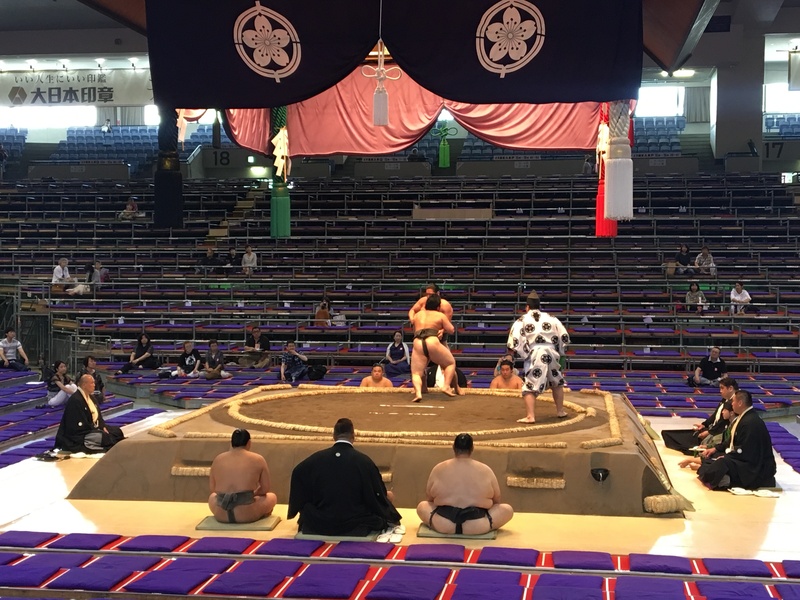 Attending a sumo tournament is one of the experiences not to be missed while in Japan!